Hyrax This is a type of expansion appliance used most commonly in patients that have their permanent dentition erupted. After placement of this appliance you will be instructed to turn once or twice a day depending on your case. The appliance will normally stay in place for 6 months. We normally proceed with placement of the braces while the hyrax is still in place. Forsus This is an appliance that is used to correct overbites. In our office the days of the dreaded headgear are OVER! This appliance can be inserted and removed quickly. It works relatively pain free to fix significant overbites. 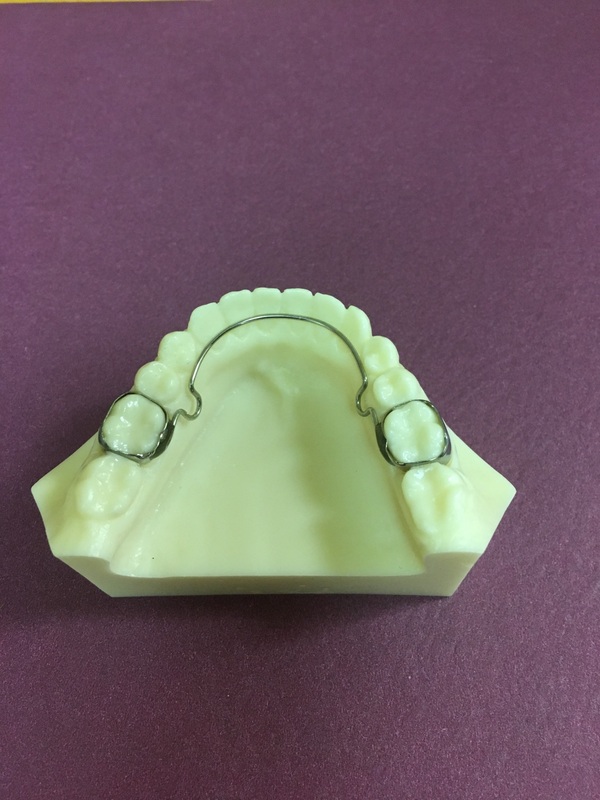 Hayes Nance This appliance is placed to either hold space when primary teeth are lost prematurely or to act as an anchorage device when large amounts of anterior spacing is needed to be closed. This appliance is most often used in extraction cases. Clear Aligner Therapy These are our most popular appliances with adult patients. They are designed to make minor tooth corrections when worn as instructed. They work best on retreatment cases for minor relapse (patients who had braces as children) or for space closure. 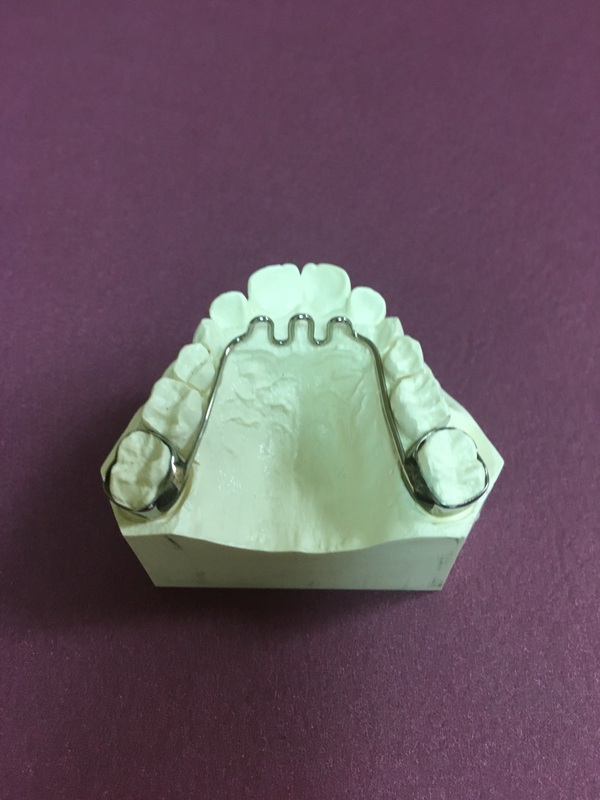 Band and Loop Appliance This is an appliance that is placed in young patients to hold space for eruption of permanent teeth after the premature loss of a primary tooth. Habit Breaking Appliance This appliance is placed to stop harmful habits to the dentition caused by a finger or thumb or a tongue thrust. The appliance is cemented into place and normally will stay in for approximately six months. Lower Lingual Holding Arch This appliance is placed to maintain space when there has been premature loss of the primary teeth and space needs to be maintained for the permanent dentition.